Posted on October 31, 2017 Author KibetCategories freetruecrime, memoirs, murderLeave a comment on Kindle True Crime Deals for Tuesday! Kindle Memoir Deals for Monday! *Murder, My Love: The Great Crimes of Passion of the 20th Century (Deal, Not Free) by Jerrold Mundis. Price: $0.99. Genre: Biographies & Memoirs Deal, Sponsor, True Crimes, Murder & Mayhem. Rated: 5 stars on 1 Reviews. 240 pages. ASIN: B0764CMPC2. Posted on October 30, 2017 Author KibetCategories freetruecrime, memoirs, murderLeave a comment on Kindle Memoir Deals for Monday! Posted on October 28, 2017 Author KibetCategories freetruecrime, memoirsLeave a comment on Kindle True Crime Deals for Saturday! 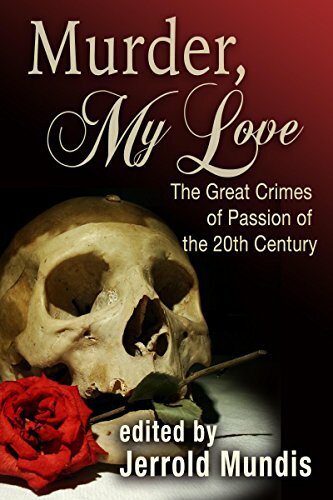 *Murder, My Love: The Great Crimes of Passion of the 20th Century (Deal, Not Free) by Jerrold Mundis. Price: $0.99. Genre: Biographies & Memoirs Book Deal, Sponsor, True Crimes, Murder & Mayhem. Rated: 5 stars on 1 Reviews. 240 pages. ASIN: B0764CMPC2. 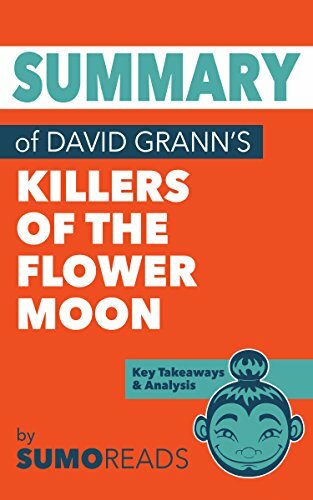 *Summary of David Grann’s Killers of the Flower Moon: Key Takeaways & Analysis (Deal, Not Free) by SUMOREADS. Price: $0.99. Genre: Biographies & Memoirs Deal, Sponsor, True Crime, Creation of FBI, Murders that Led to Creation of FBI. Rated: 5 stars on 1 Reviews. 27 pages. ASIN: B074YWGZHB. Posted on October 24, 2017 Author KibetCategories freetruecrime, memoirs, murderLeave a comment on Kindle True Crime Deals for Monday! *Summary of David Grann’s Killers of the Flower Moon: Key Takeaways & Analysis (Deal, Not Free) by SUMOREADS. Price: $0.99. Genre: Nonfiction Book Summary Deal, Sponsor, True Crime, Origin of FBI, Oklahoma. Rated: 5 stars on 1 Reviews. 27 pages. ASIN: B074YWGZHB. Weed Deeds: From Seed to Sage. by Russ Hudson. Price: Free. Genre: Biographies & Memoirs, True Crime, Criminals. Rated: 4.2 stars on 7 Reviews. 268 pages. ASIN: B071ZQ6YSN. Posted on October 22, 2017 Author KibetCategories criminals, freetruecrime, memoirsLeave a comment on Kindle True Crime Deals for Saturday! 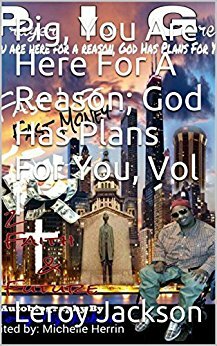 *Pig, You Are Here For A Reason; God Has Plans For You, Vol I by Leroy Jackson. Price: Free. Genre: Biographies & Memoirs Deal, Sponsor, Non Fiction, True Crime. Rated: 5 stars on 1 Reviews. 137 pages. ASIN: B074JK9XCN. Posted on October 20, 2017 Author KibetCategories freetruecrime, memoirsLeave a comment on Kindle True Crime Deals for Thursday! Posted on October 19, 2017 Author KibetCategories freetruecrime, memoirsLeave a comment on Kindle True Crime Deals for Wednesday! Posted on October 17, 2017 Author KibetCategories freetruecrime, memoirsLeave a comment on Kindle True Crime Deals for Monday! *Pig, You Are Here For A Reason; God Has Plans For You, Vol I by Leroy Jackson. Price: Free. Genre: Biographies & Memoirs of the Day, Sponsor, Non Fiction, True Crime. Rated: 5 stars on 1 Reviews. 137 pages. ASIN: B074JK9XCN. Posted on October 14, 2017 Author KibetCategories freetruecrime, memoirsLeave a comment on Kindle True Crime Deals for Friday! 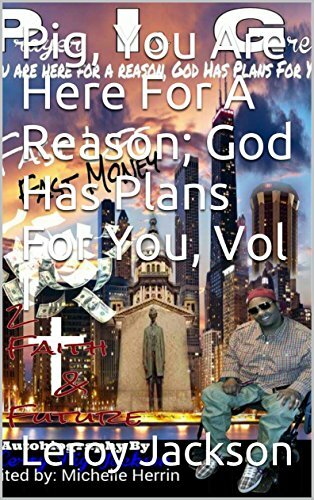 *Pig, You Are Here For A Reason; God Has Plans For You, Vol I by Leroy Jackson. Price: Free. Genre: Non Fiction, Sponsor, True Crime. Rated: 5 stars on 1 Reviews. 137 pages. ASIN: B074JK9XCN. *True Crime Stories Volume 2: 12 Terrifying True Crime Murder Cases (List of Twelve). by Ryan Becker. Price: Free. Genre: Biographies & Memoirs, True Crime, Hoaxes & Deceptions, History, Historical Study, Reference. Rated: 5 stars on 5 Reviews. 116 pages. ASIN: B0761SF9VP. Psychopath: Inside the Mind of a Psychopath (Psychopath, Psychopath Test). by Paul Sorensen. Price: Free. Genre: Biographies & Memoirs, True Crime, Murder & Mayhem, Serial Killers. Rated: 4.1 stars on 17 Reviews. 96 pages. ASIN: B00KYVS0PW. Posted on October 13, 2017 Author KibetCategories freetruecrime, memoirs, murder, serial killersLeave a comment on Kindle True Crime Deals for Thursday!